Recently, I decided to research my family history. Genealogy is something that I've always been interested in but never took the initiative to get the ball rolling. My first step was to join Ancestry.com and my search was underway! I was able to research on my pateral side all the way back to the 1600's when my ancestors landed in Accomack, Virginia from Gloucestershire, England. I found christening records and birth announcements for my 12x great grandparents children on file with Hungars Parish Church in Bridgetown, Virginia. The church was established in 1623 during colonial times. My mother's side was more difficult to trace. After her paternal grandparents, there's no sign or trace of anyone. I couldn't find a census record, birth certificate, nada. It's very odd and I look forward to investigating deeper into this mystery of her father's family. Where did they come from and more importantly where did they go? In the process of searching my own heritage and ancestors, I started to dig into my husbands family. His surname is so unique that I knew I could find information easily and I did. His Aunt Lou has been a big help in the research as she has several generations already documented and copies of photographs. The Quattlebaum's settled in Charleston, South Carolina prior to 1775; the beginning of the Revolutionary War. They were mostly farmers, sailors and fisherman and settled a large part of Berkeley and Charleston counties. Also, there are more Quattlebaum's in South Carolina than any other state. Through the years, some of the South Carolina Quattlebaum's migrated to south Georgia. Fast-forward 150 years or so and I "met" a curious woman named Inez Quattlebaum. 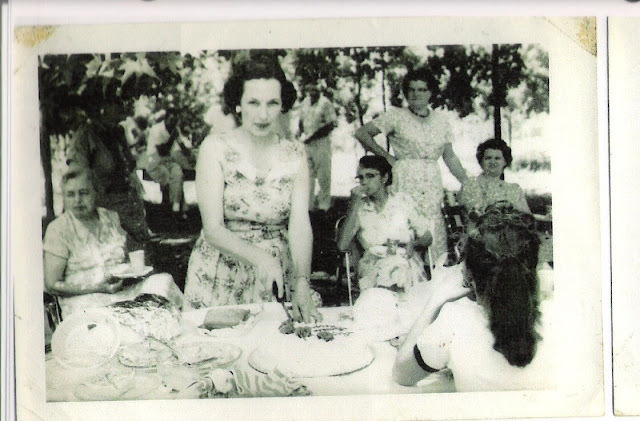 Inez is the lady in the center of the picture cutting the cake. The caption with the picture says that the photo was taken at Macedonia Baptist Church near Statesboro, Georgia (where my father-in-law was born and raised). My father-in-law says he remembers going to the Macedonia Baptist Church for reunions, etc. Apparently, my husband comes from a long line of Baptists. Inez married my father-in-laws great uncle. 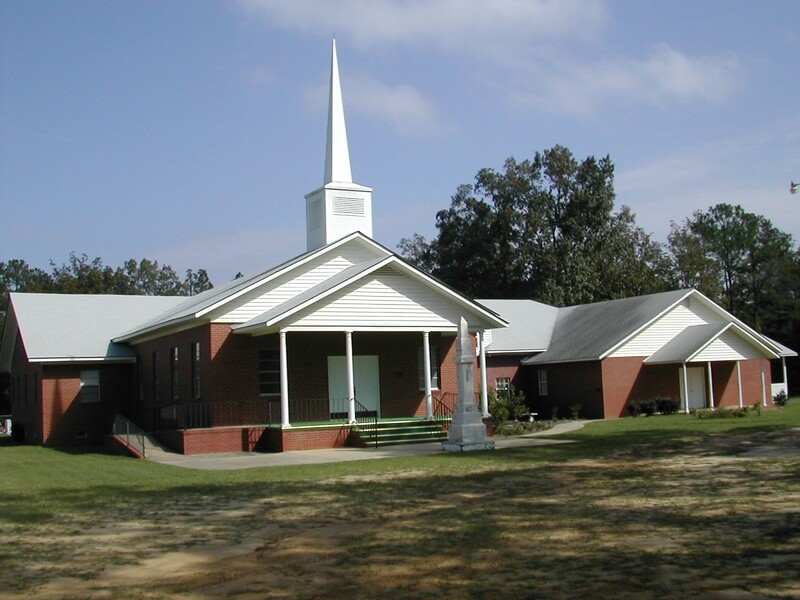 A current picture of Macedonia Baptist Church in Statesboro, Georgia. So, who is the Inez Quattlebaum? My information on her is very limited. I know that she married into the family and was a big part of her church, family and community. She lived her life in and around Pembroke, Georgia. She was born in 1897 and lived in Statesboro, Georgia around 1910. Her death certificate states that she died in 1979 of natural causes in Statesboro, Georgia. My search for information on her life continues. I want to know so much about this woman because I feel a connection with her. If you are interested in genealogy, I suggest that you sign up for Ancestry.com or search vital records in your county and state. It's amazing what you learn about your ancestors and your past. Please, share your journeys here. I would love to read about your story.